This is exactly what clients mean when they don’t want to see yellow! An all-clear white blonde just like this icy color from BTC Team Members Melody and Michael Lowenstein (@rossmichaelssalon). We are seriously in love with this cool and perfectly-toned haircolor, so we’re sharing all of the details below. 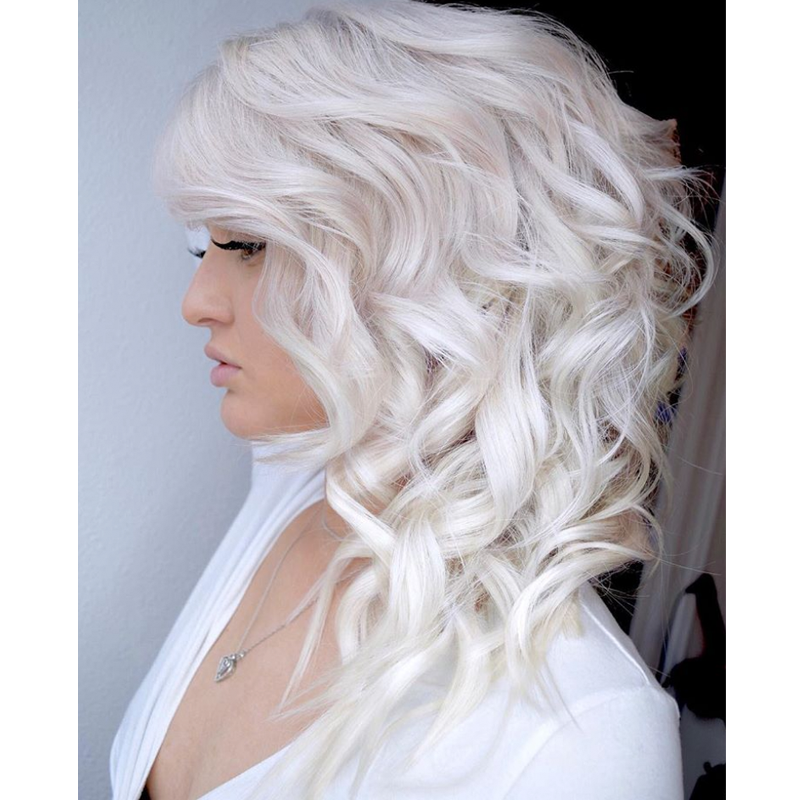 Tap the beaker for the color formulas and keep scrollin’ to get the blonding steps to achieve this look! 1. Start by applying Formula A to the midshaft, avoiding 1/8 inch off the scalp (aka “the heat zone”) and applying a cotton strip on the line of demarcation. Then, continue to apply Formula A from mids to ends. 2. Once the midshaft has lifted to a bright gold-yellow, apply Formula A to the scalp. 3. Then, apply Formula B throughout the rest of the hair and process until desired all-over lift is achieved. 4. Rinse thoroughly and apply Olaplex No.2 for 15 minutes, then condition and rinse. 5. Apply Formula C to damp hair with a brush. Start applying to the root area and pull through the ends until complete saturation is achieved. Process for 20 minutes, then rinse thoroughly. 6. Blow-dry and style as desired!